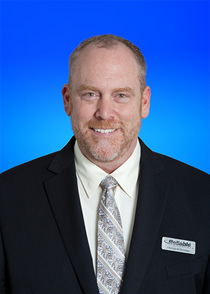 It is with great pleasure that we announce the promotion of Rick Rosine to "Vice President, Sales & Marketing – Americas". Rick has worked in the Direct Digital Controls industry his entire career, starting as a DDC Technician in 1986, the same year Reliable Controls was founded, then moving to a position as an Application Engineer for a temperature controls company in 1992, followed by an Engineering Manager role for one of our past dealers in 1998, before accepting the role of Regional Sales Manager – Central US for Reliable Controls in 2007. During his tenure with Reliable Controls as RSM – Central US, Rick was instrumental in growing the region in six out of seven years, typically posting double-digit growth. At the end of 2013, the Central – US region was home to four of the top ten dealers in the global Reliable Controls Authorized Dealer network, and sales closed at an astonishing 3.5 times than when Rick joined the company. Rick now takes on the challenge of helping our existing team of Regional Sales Managers in the Americas to grow their respective regions, and to develop our distribution in Central and South America. On behalf of the entire company, we wish Rick the best of success in his challenging, new role!